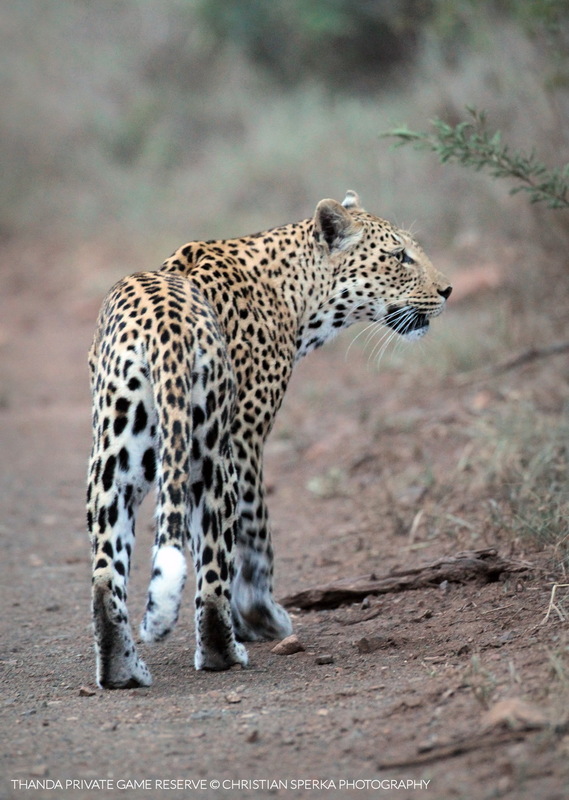 At the end of today’s exciting game drive with sparring Elephants, grazing White Rhinos and a few unusual bird sightings we were on our way back to the Thanda Safari Lodge when this Leopard female appeared on the road in front of us . After a quick look back at us she continued her walk, seemingly unconcerned, for fifteen minutes before disappearing into the bush. What a way to end a game drive! ← Always on the move! Fifteen minutes, bad light and a long lens!